You Are Here: Home > About Us > Meet Our Team! I have been working in the automotive retail industry for 13 years. 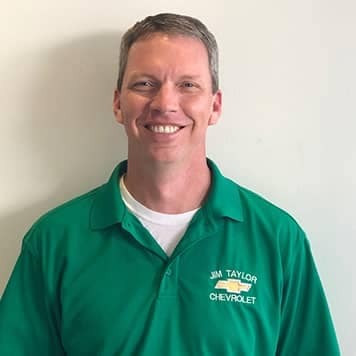 I joined my father, Jim Taylor, as a sales consultant in 2005, and I am very proud to continue running Jim Taylor Chevrolet Buick and Jim Taylor Ford Lincoln with the same philosophy that he taught me. My goal is to develop relationships with our customers. We are not here to sell you something: we are here to serve you by making it easy and convenient and enjoyable to buy and care for your cars. My husband Mark and I have been married for 21 years, and we have three children: Sarah, Nathan and Cole. We live in Monroe. 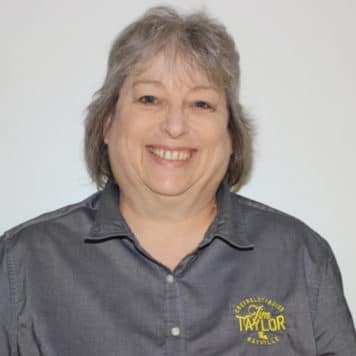 I am from West Monroe, Louisiana and I have been a member of the Jim Taylor family for 15 years. I love my job because I get the opportunity to aid customers in their search for a vehicle that fits them best. Something interesting about me is that my wife is a teacher at Neville High School, and together we have two kids who enjoy running cross country around the country. I am from West Monroe, La and have been in the automotive industry for 34 years. 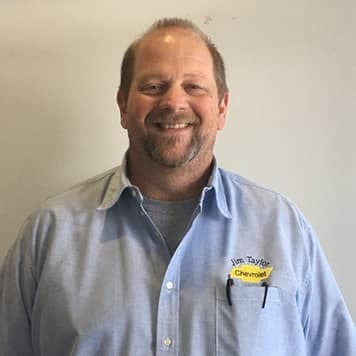 I have been at Jim Taylor Chevrolet for over 3 years. I love being hands on with the vehicles. I am so proud of my wife Maria, my daughter Brandy and my wonderful grandchildren. I am also proud that I get to do what I love as my job (the car business). I love coming to work every day. I am from Oak Grove, La but live in Ruston, La. I have been in the automotive industry for over 24 years. I have been with Jim Taylor Chevrolet for over 5 years. I love the people I work with and the clients I serve. My family is very important to me and I am very proud of them. 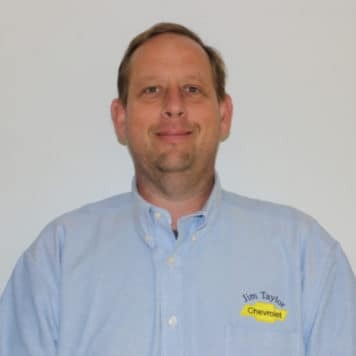 I am from Bastrop, La and have been in the automotive industry for 25 years. I have been with this company for over 15 years. I love working here because we are family. We care about each customer and each other. I am proud of my daughter Savannah and the young lady she is becoming. I am proud to work at a dealership where I can sell my family and friends with confidence and integrity. 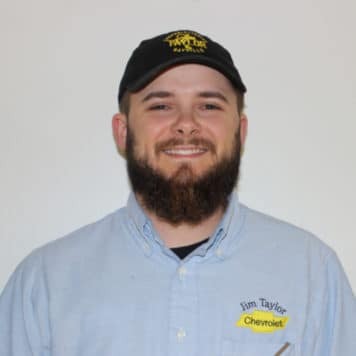 I am from Delhi, Louisiana, and I have been a member of the Jim Taylor Family for five months now. I love working at JTC because it makes me feel at home. Something interesting about me that I haven’t grown since the 8th grade, so don’t ask me to reach the top shelf, because I can’t! 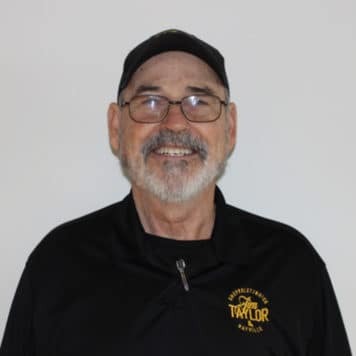 I am from Shreveport, Louisiana, currently living in Holly Ridge, Louisiana, and I have been a member of the Jim Taylor Family for one month now. 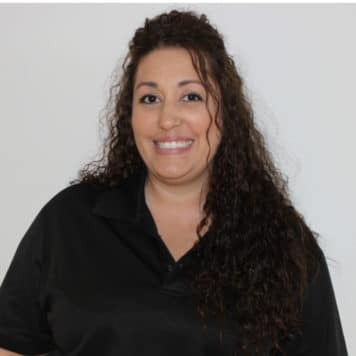 I spent eleven years working in the insurance and HR business; I love working at JTC because I love the new challenges and opportunities of trying something new. I have two daughters, 17 and 15, and one son, 12. I am passionate about LSU and Saints football and I am an avid fan of Marvel Movies. I am from Oak Grove, Louisiana, and I have been a member of the Jim Taylor Family for two months. I love working at JTC because of the great location, the small town feel, and the engaging environment. I am passionate for Grambling State University and the New Orleans Saints. I love to help customers make a deal when they are searching for their next vehicle. 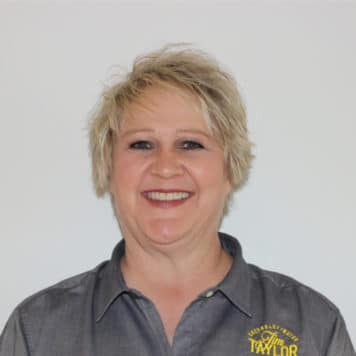 I am from Rayville, Louisiana, and I have been a member of the Jim Taylor Family for three years. I love working at JTC because of the relaxed, hometown environment. During my free time, I love to go golfing and coach softball. I have been at JTC for 10 years. The things I love about working at JTC include the interaction with people, finding out a customers needs and wants for their family, and going the extra mile to help them out. Something interesting about me is that I love being a father. 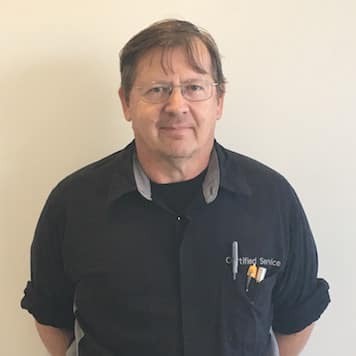 I am from the Monroe, La and Swartz area and have been in the automotive industry for 30 years . 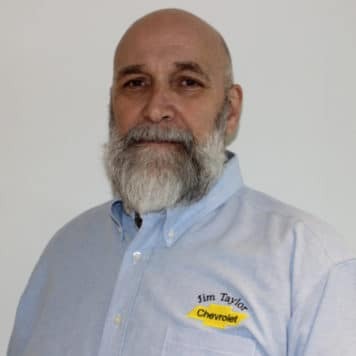 I have worked at Jim Taylor Chevrolet for 16 years. I love working here because of the atmosphere and the other employees. I am proud of my children and family. I am from Delhi, La and have been in the automotive industry for over 25 years. I have been with Jim Taylor Chevrolet for over four years now. I enjoy working here because of the friendly clients and co-workers. I have a great family and 3 perfect grandchildren. 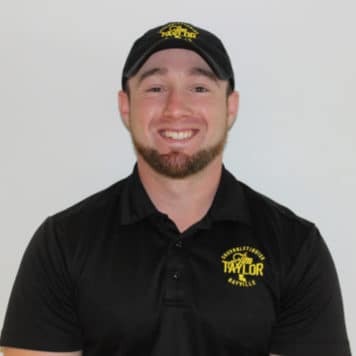 I am form Bastrop, Louisiana and i have been a member of the Jim Taylor Family for over 10 years now. I love working at JTC because I love working for our owner and working with my coworkers. I also enjoy the flexibility and autonomy this position allows me to have. Something interesting about me is that I am 80 years old and I still love my job. 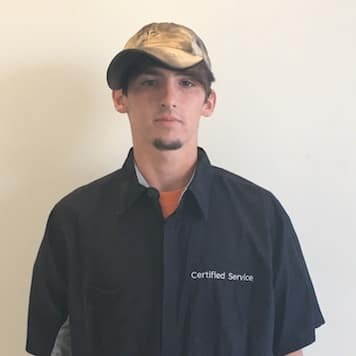 I am from Richland Parish and have been in the automotive industry for 45 years. I have been with Jim Taylor Chevrolet for 10 years. I love to people here and I am proud to be still working at 80 years old. 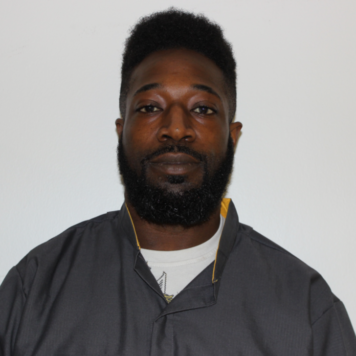 I am from Rayville, La and have been in the automotive industry for 11 years. 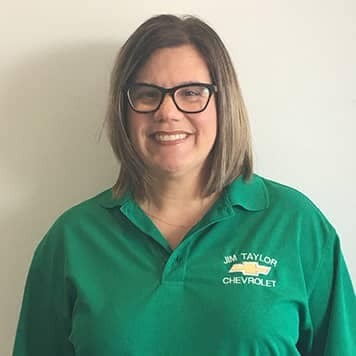 I have been with Jim Taylor Chevrolet since 2017. I love helping folks find what they need in a vehicle. I am a big fan of LSU and the Rayville Hornets. I have a great family. 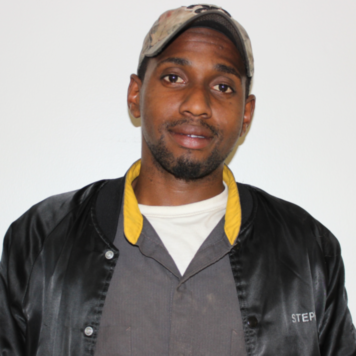 I am from Bastrop, Louisiana and have been in the automotive industry for 2 years. The thing I love most about working at JTC is being able to help get people into their new vehicle and seeing how happy it makes them. Something interesting about me is that I am a husband and father of two; My family means everything to me. 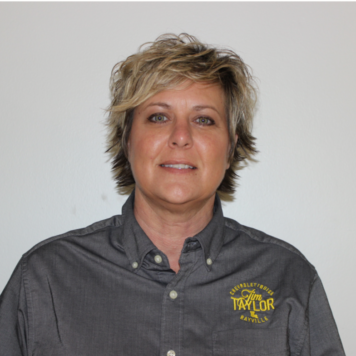 I am from Monroe, LA and I have been a member of the Jim Taylor family for a total of 13 years. I love working at JTC because of the fun and friendly co-workers. 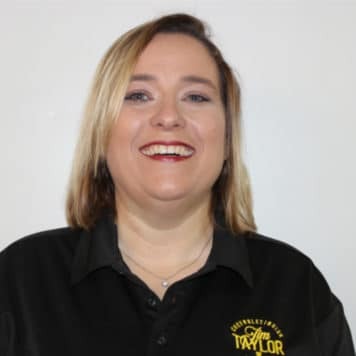 I am from Monroe, Louisiana and I have been a member of the Jim Taylor Family for a year. I love working at JTC because I enjoy changing oil and fixing up any vehicles that come in. My coworkers are good people and we have great team work. 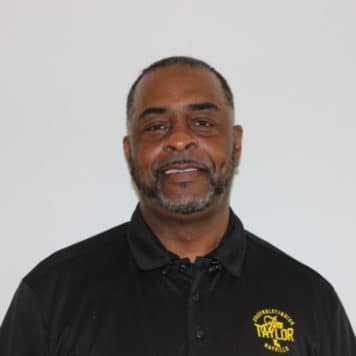 I am from Rayville, Louisiana and I have been apart of the Jim Taylor Family for 8 years. I love working at JTC because I enjoy my coworkers and the experience. 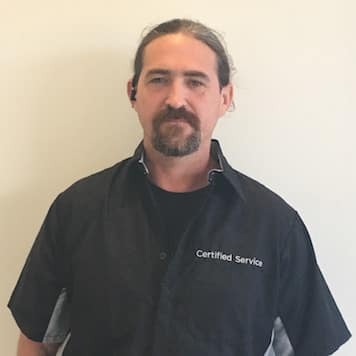 I especially love working with our service advisors. Something interesting about me is that this past november I became a father to a little boy. 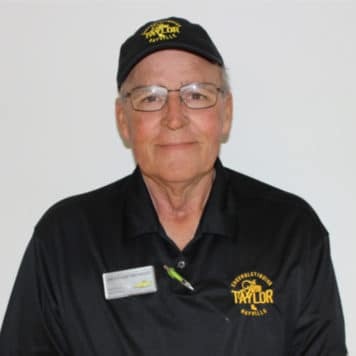 I am from Rayville, Louisiana and I have been a member of the Jim Taylor Family since February. I enjoy working at JTC because I believe the workers get treated well and I get to work with my brother. 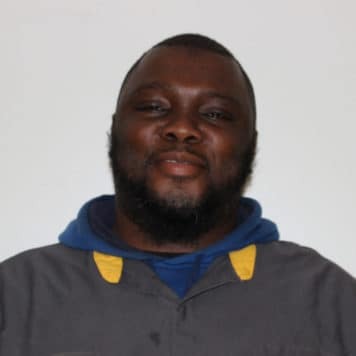 I am from Mangham, Louisiana and I have been a member of the Jim Taylor Family for 5 years. 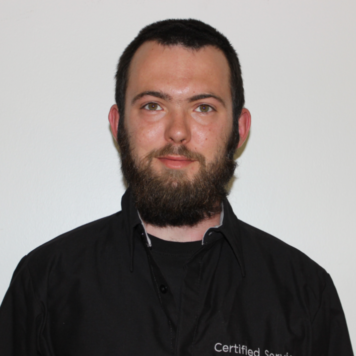 I love working at JTC because I enjoy my coworkers and working with automotive technology. I am a proud father of a little boy and have been married for a little over a year and a half. 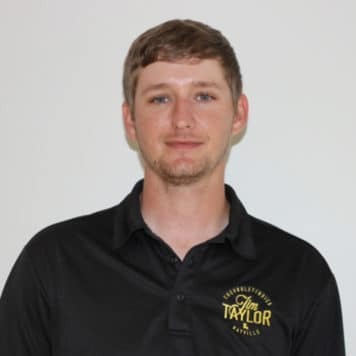 I am from Winnsboro, Louisiana and I have been a member of the Jim Taylor Family for about half a year from now. I love working at JTC because I get to meet new people and help customers. 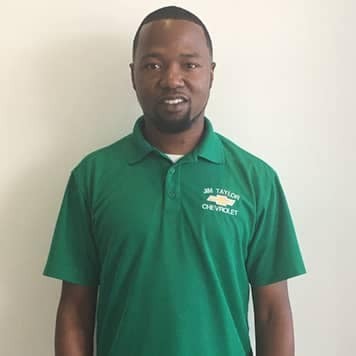 I am from Rayville, La and have been in the automotive industry for 18 years. 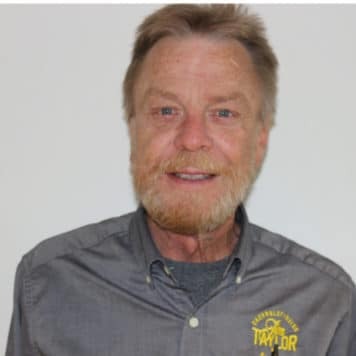 I have been with Jim Taylor Chevrolet for 17 years. I am the proud dad of one daughter and one son. I am an avid outdoorsman and enjoy photographing nature and wildlife. I enjoy spending time with family and friends on the weekends and enjoy sporting events my children participate in. I am from Rayville, Louisiana and I have been a member of the family since February. I have always wanted to work on a car-lot, so I am thankful that JTC gives me that opportunity. Something interesting about me is that I have worked on cars for over 10 years- I rebuild my own engines. During my free time I enjoy fishing. 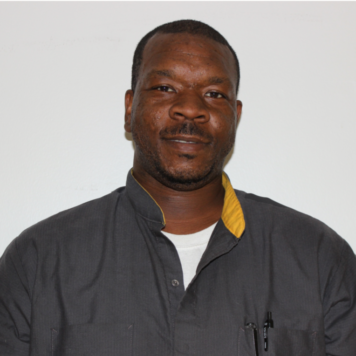 I am from Winnsboro, La and have been in the automotive industry for 16 years. I have worked at Jim Taylor Chevrolet for 6 years and enjoy the people I work with daily. I am very proud of my community and family. I was born in San Antonio TX, and raised in Gonzales, La. 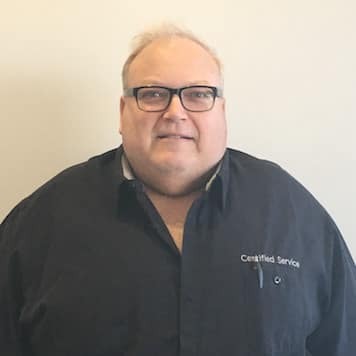 I have been in the automotive industry for 7 years and with Jim Taylor Chevrolet for over 1 year. I love the family atmosphere here. I have two beautiful daughters, both graduates of LSU. 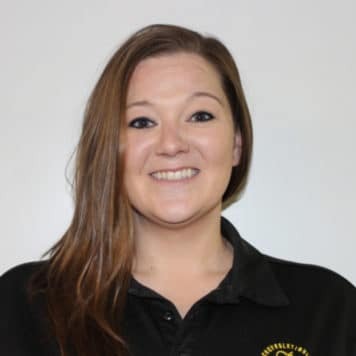 I am from Start, Louisiana and I have been a member of the Jim Taylor family for 3 years. The reasons I love my job include the people I work around and the opportunity to meet new people. This job gave me the opportunity to move to Rayville and meet so many great people, including my current girlfriend. I am from Monroe, Louisiana and have been a member of the Jim Taylor Family for 6 months now. I love working at JTC because I love to serve customers and I enjoy spending time with my coworkers. During my free time, I enjoy hunting, fishing, and spending time with my family. I am from Monroe, Louisiana and have been a member of the Jim Taylor Family for a year. I love coming to work because the atmosphere is fun and I enjoy my coworkers. 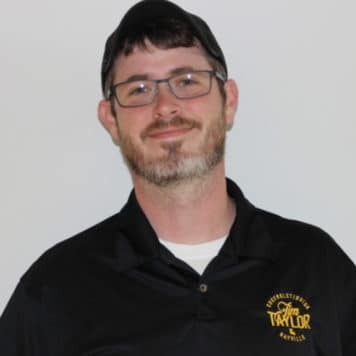 I am from Rayville, Louisiana, and I have been a member of the Jim Taylor Family for one year. I love working at JTC because I love what I do. I take time making sure a vehicle is clean inside and out because I want to ensure the customer is completely satisfied. My coworkers are down to earth and fun to be around. I enjoy going out and just riding around; I love to be a fun guy and clown around. I have cut hair on the side for over 30 years, and I have a son who is about to graduate and a daughter on the way. 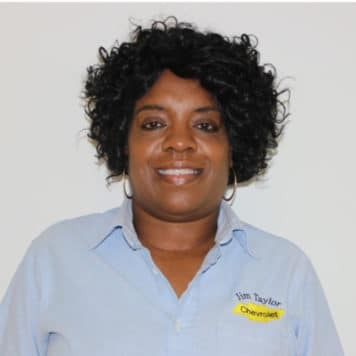 I am from Monroe, Louisiana and I have been a member of the Jim Taylor family for 2 years. What I love about my job is the steady flow of work and my coworkers. Something interesting about me is that I live for the weekend. 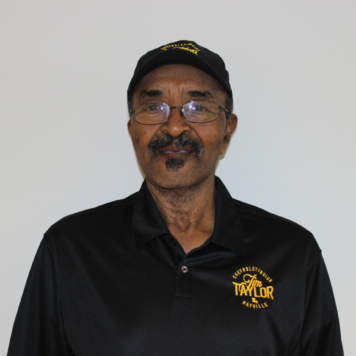 I am from Rayville, Louisiana and I have been a member of the Jim Taylor family for 10 years. 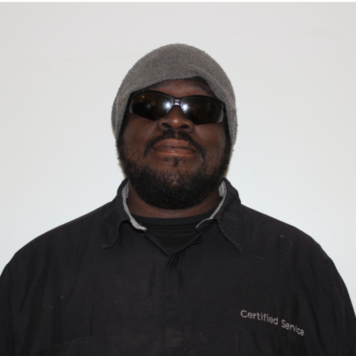 What I love about my job is the challenge of repairing cars and trucks. When I am not at work, I love to work on old cars and drag race. 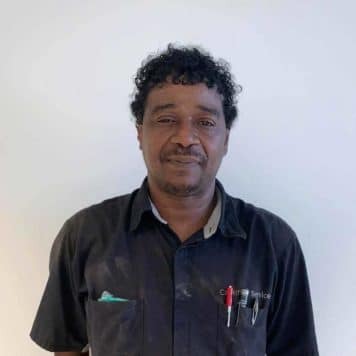 I am from Haile, La and have been in the automotive industry for 42 years. 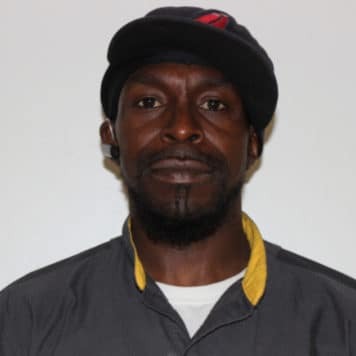 I have worked at Jim Taylor Chevrolet for 7 years. I love the people I work with, they help with problems that come with day to day service. I love restoring classic car, building and flying RC airplanes, flying full size airplanes and machining metal making special tools or car parts. 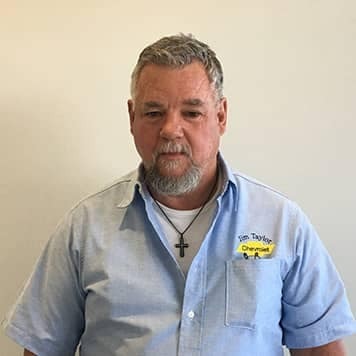 I am from Demopolis, Alabama and I have been a member of the Jim Taylor family for 11 years. What I love about my job includes the opportunity to solve problems on vehicles. I like reading and playing computer games in my spare time. 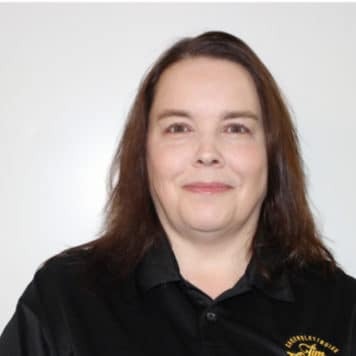 I am from Holly Ridge, LA and have been a member of the Jim Taylor family for 4 years. I love being able to work with good people and the family atmosphere this dealership has. Something interesting about me is that I love to drag race my ’95 chevy S-10. I am from Monroe, LA and have been a member of the Jim Taylor family for 2 months. 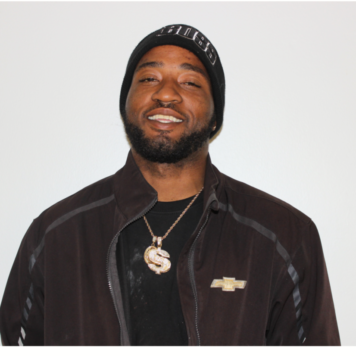 I love working at Jim Taylor Chevrolet because it a very laid back environment with great people to work with. It’s what I love to do and what I have been doing for my whole life. JTC is the first dealership that I have worked for where I actually love coming into work. Everything here is nice and up to date. 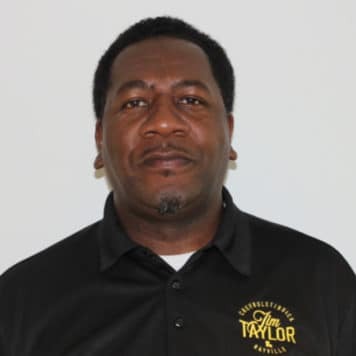 I am from Rayville, Louisiana and have been a member of the Jim Taylor family for 2 months. I love my job for the people and the opportunity to serve others by fixing their vehicles. 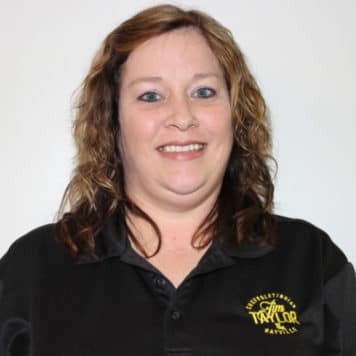 I am from Baskin, Louisiana and I have been a member of the Jim Taylor family for 3 years. What I love about my job includes being able to work on GM vehicles. Some thing interesting about me is that I have been married for four years this Halloween and I have triplets on the way. I like building older vehicles and drag racing. I was born in Monroe, La and live in Calhoun, La. 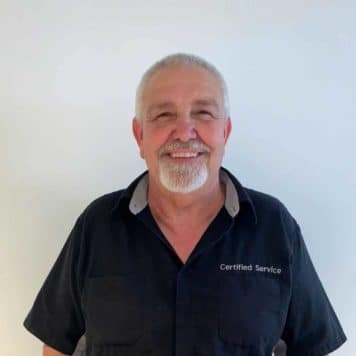 I have been in the automotive industry as parts and service manager for over 33 years. 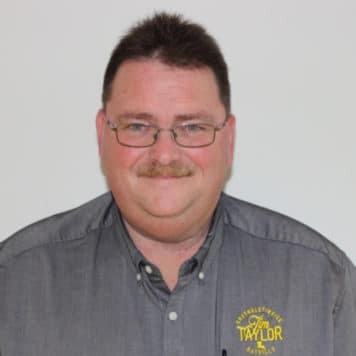 I have been with Jim Taylor Chevrolet for over 7 years as parts manager. I enjoy the friendly co-workers. I love spending time with my wife and family. My hobbies include NASCAR, football, movies and music. I am from Oak Ridge, La. 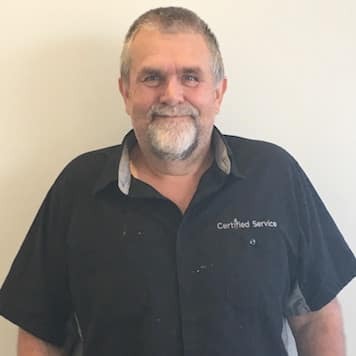 I have been in the automotive industry for 34 years. 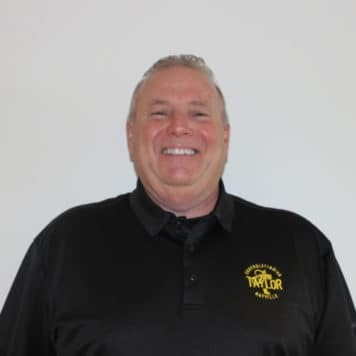 I have been with Jim Taylor Chevrolet for over 15 years. I love the people I work with. I am proud of my wife and two kids, their spouses and 4 grandchildren. I thank the Lord for blessing our family with good health and a wonderful place to work. 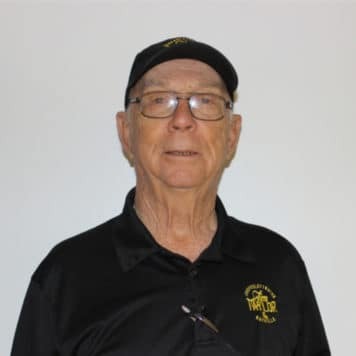 I am from Oak Grove, Louisiana and I have been a member of the Jim Taylor family for 17 years. What I love about my job includes working with and meeting new people. Something interesting about me is that I come from a very deeply musically talented family. 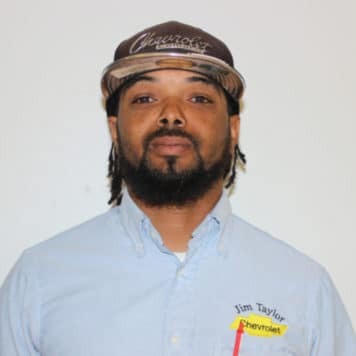 I am from Clinton, Mississippi and have been apart of the Jim Taylor family for 5 years. 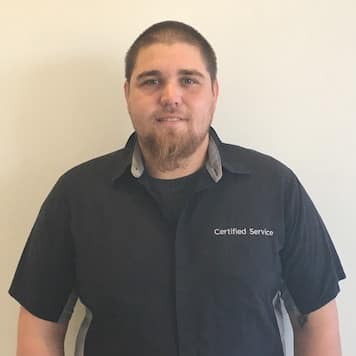 The thing I love about my job is the honesty and integrity this dealership exemplifies; It is what gives me pride in working at Jim Taylor Chevrolet. 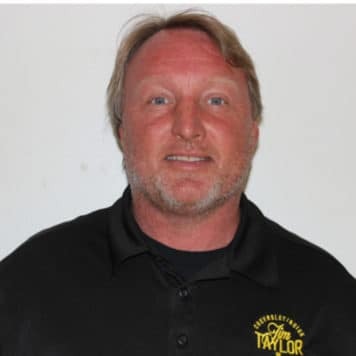 I am from Sterlington, Louisiana and I have been a member of the Jim Taylor family for 18 years. I love working at Jim Taylor Chevrolet because of the fast-paced environment of the accounting office and because of my co-workers. I love to study the Bible. I have a degree in Biblical Studies from Faith Bible Institute. I am from and live in Rayville, La. 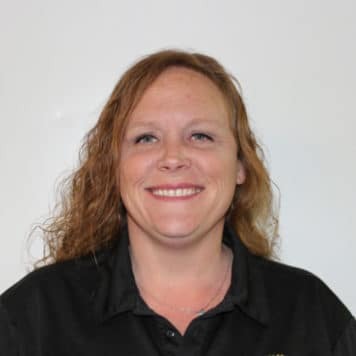 I have been in the automotive industry for six years and with Jim Taylor Chevrolet during that time. I love working at JTC for the friendly people and atmosphere here. I love my wonderful coworkers. I am proud of my significant other and myself for the life we’ve built together. I love to spend my free time reading, doing puzzles, and living the country life. I am from Lafayette, La and now live in Holly Ridge, La. I have been in the automotive industry for over 14 years. 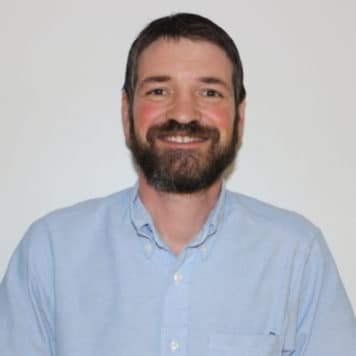 I have been with Jim Taylor Chevrolet since late 2017. I am a grateful believer in Jesus Christ. I am proud of my husband, our 7 children, and myself for being such a hardworking and loving family. I was born in Bonita, La and live in Rayville, La. I have been with Jim Taylor Chevrolet for over 6 years. I love the people here and working in the automotive industry. My husband Paul and I restore old cars as a hobby and investment. We have 4 grown kids and one son in law. We have one cat and two dogs that are spoiled rotten. I am from Winnsboro, La. I have been in the automotive industry for 3 years and with Jim Taylor Chevrolet during that time. I enjoy working with my co-workers. I have three awesome children and one precious granddaughter named Kaylee.